Have you been searching for a medical alert wristband or bracelet? How does a paramedic know your medication, medical conditions or even your name? It's not a question many people ask themselves unless they have experienced a life threatening situation. For those who have a complex medical condition or on a regime of medication that changes frequently the importance of being able to communicate this information quickly and precisely is paramount. There are a number of medical alert systems on the market today. These include a simple bracelet with the word "Epilepsy" or other condition etched onto it. There are subscription led services that rely on you updating your records by telephone to a central provider and then a paramedic calls a telephone number printed on some form of jewellery. We sell medical wristbands / bracelets, identification cards and key fobs. Each device comes with a special chip inside it. For our newer devices each product also comes with a QR code too. 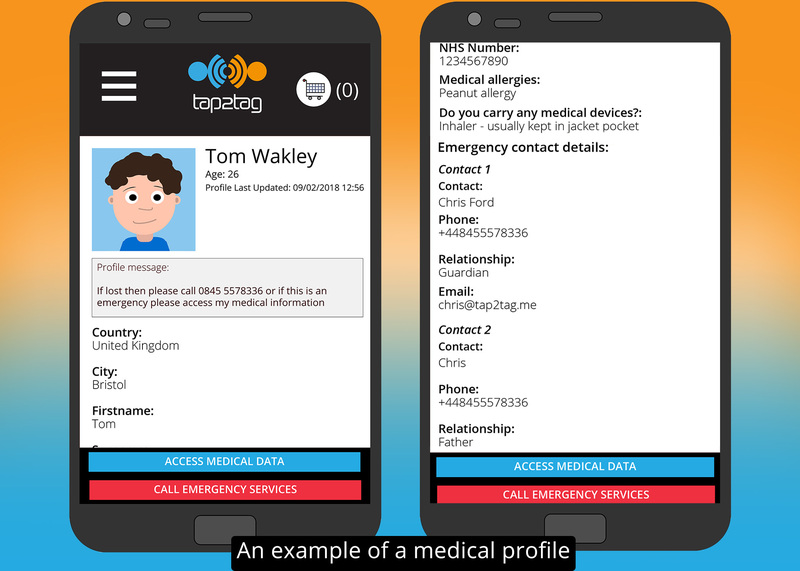 A paramedic or first responder simply taps their NFC enabled phone against the device and your medical information appears. There are no apps to download, the information simply appears on their phone's browser. Anyone with a complex medical condition would have been advised by their health professional to purchase some sort of medical alert device. So if you have epilepsy, diabetes, heart condition, Crohns disease, Addison's disease, dementia or autism then this product is a must. But don't think of this as a product for just those with medical conditions. If you enjoy running, cycling or even tri-athlons then your training regime is an important part of your preparation for events. And as you pound the road or cycle that 15% gradient have you considered what would happen if you need emergency help? What form of identification do you carry and wear do you store it in your lycra shorts? 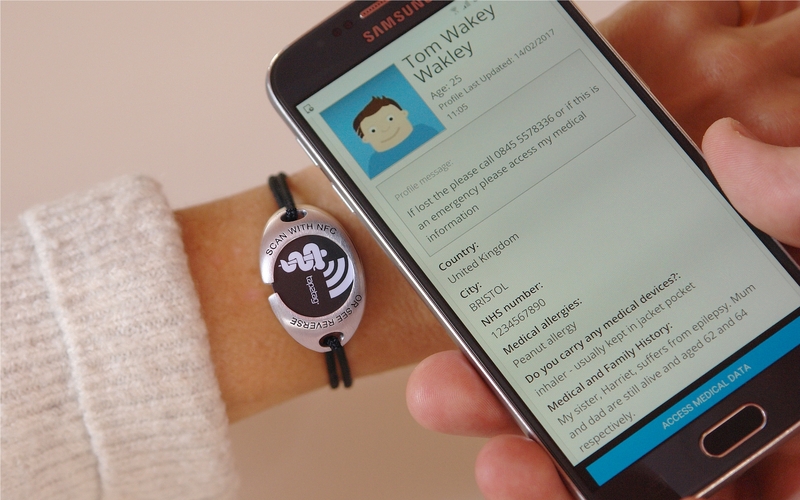 A Tap2Tag wristband could be the answer. WHY NOT JOIN THE CONVERSATION AND FIND OUT OUR LATEST NEWS BY LIKING OR FOLLOWING US ON..